Master of Fine Arts Thesis Exhibition, Gallery 1, 2, 3 and 6, Jordan Schnitzer Museum of Art, Washington State University, Pullman. Features works by WSU master’s degree candidates Bridgette Costa, Megan Culbertson, Diana Norley Fernandez Ortiz, Brett McElmurry, Ayanna Z. Nayo, Dustin M. Regul, and June T. Sanders. Reception: 6-8 p.m. April 12. Hours: 10 a.m.-4 p.m. Tuesday-Saturday. Photojournalism on the Palouse, Third Street Gallery, 206 E. Third St., Moscow. Hours: 8 a.m.-5 p.m. weekdays. “Memento: Selected Works from the Elwood Collections,” Gallery 4, Jordan Schnitzer Museum of Art, Washington State University, Pullman. Hours: 10 a.m.-4 p.m. Tuesday-Saturday. Exhibit of photographs by Mo Weber of Asotin, Valley Art Center, 842 Sixth St., Clarkston. Hours: 10 a.m.-4 p.m. Tuesday-Saturday. “Wondering,” works in printmaking by Lynne Haagensen of Moscow, Artisans at the Dahmen Barn, 419 N. Park Way, Uniontown. Hours: 10 a.m.-4 p.m. Thursday-Sunday. Palette knife paintings and mixed media art using silk fabrics and oils by Carolyn Doe of Port Townsend, Wash., Moscow Food Co-op deli gallery, 121 E. Fifth St. Reception: 5-6:30 p.m. April 12. Hours: 7 a.m.-9 p.m. daily. “Asterisk,” works by Logan Clancy, Jonathan Matteson and Ashley Vaughn, University of Idaho master of fine arts candidates, Prichard Art Gallery, 414/416 Main St., Moscow. Reception: 5-7 p.m. April 12. Hours: 10 a.m.-8 p.m. Tuesday-Saturday and 10 a.m.-6 p.m. Sunday. Palouse Silent Art Auction, noon-4 p.m., the Seasoned House, 215 SE Paradise St., Pullman. Features works from around the region to raise money to benefit the Phoenix Conservancy, and includes food, beer and wine. Cost: $20. Vintage Quilt Show, 10 a.m.-5 p.m., Pullman Depot Heritage Center, 330 N. Grand Ave. Wines, cheeses and chocolates will be served in memory of the late Ken Vogel, Pullman businessman and train enthusiast. Proceeds go to the restoration of the depot, a project of the Whitman County Historical Society. Cost: $15. 39th annual Palouse Patchers Quilt Show, 10 a.m.-4 p.m., Latah County Fairgrounds, 1021 Harold St., Moscow. Cost: $5. Sharon Bogen of Prosser, Wash., calligraphy on scrolls, Simpson United Methodist Church gallery, 325 NE Maple St., Pullman. Hours: 9 a.m.-noon weekdays, noon-2 p.m. Saturday-Sunday. Fifth annual artAbility Showcase, works by 23 artists who have disabilities, 5-7 p.m., Latah County Fairgrounds, 1021 Harold St., Moscow. 34th annual Seaport Quilters Guild Quilt Show, 9 a.m.-5 p.m. April 27 and 10 a.m.-3 p.m. April 28, Clarkston High School, 401 Chestnut St.
“Four Decades of Life in One Book,” presentation by poet Stephen Pitters, 5:30 p.m., Moscow Public Library, 110 S. Jefferson St.
Poetry Relay, readings, 5:30-8:30 p.m., council chambers, Moscow City Hall, 206 E. Third St., Moscow. Book club discussion of “Indian Creek Chronicles” by Pete Fromm, 10:30 a.m., Asotin County Library, 417 Sycamore St., Clarkston. Lewiston City Library’s Evening Book Club disussion of “So You Want to Talk about Race” by Ijeoma Oluo, 6:30 p.m., Blue Lantern Coffeehouse, 326 Main St., Lewiston. Book club discussion of “Love and Other Consolation Prizes” by Jaime Ford, 7 p.m., Nezperce Community Library, 602 Fourth Ave.
Susan Hodgin, Moscow’s poet laureate, reading/meet-and-greet, 5:30-7 p.m., Moscow Public Library, 110 S. Jefferson St.
Spring Tea, Jane Austen Society of North America, Eastern Washington and Northern Idaho Region, 2-4 p.m., the Seasoned House, 215 SE Paradise St., Pullman. Pamela Aidan, author of the “Fitzwilliam Darcy, Gentleman” series, will give a talk titled “Creating the Regency World.” Cost: $26. Info: jasnaewanid@gmail.com. Friends of the Lewiston Library Spring Book Sale, 3-7 p.m. May 2, 10 a.m.-5 p.m. May 3, 10 a.m.-2 p.m. May 4, Lewiston City Library, 411 D St.
Weston Barnes, author of “Basileus: History of the Byzantine Emperors 284-1453,” signing, 1 p.m., And Books Too, 918 Sixth St., Clarkston. Book club discussion of “The Immortal Life of Henrietta Lacks” by Rebecca Skloot, 10:30 a.m., Asotin County Library, 417 Sycamore St., Clarkston. Book club discussion of “Mountains Beyond Mountains” by Tracy Kidder, 10:30 a.m., Asotin County Library, 417 Sycamore St., Clarkston. Asotin County Library’s Book Night discussion of “News of the World” by Paulette Jiles, 7 p.m., Asotin County Library, 417 Sycamore St., Clarkston. Bob Ross Painting and Pints, fundraiser to benefit the Lewis-Clark State College Ecuador Program, 6-9 p.m., Riverport Brewing Co., 150 Ninth St., Clarkston. Cost: $25. Electric vehicle drive event, 10 a.m.-2 p.m., Palouse Clearwater Environmental Institute Nature Center, 1040 Rodeo Drive, Moscow. “Fear Factor” Style Event, 6 p.m., Lewiston High School auditorium, 1114 Ninth Ave. Fundraiser to benefit the Valley Rental Association’s Tenant Relief Fund features silent auction. Cost: $25. See the story on Page 5. 15th annual Pullman Stream Clean-Up, 10 a.m.-1 p.m., check-in at Spring Street Park, next to the skate park. Pullman FFA Plant Sale, 8 a.m., Pullman High School, 510 NW Greyhound Way. 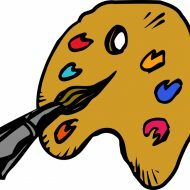 Spring Arts and Crafts Fair, 10 a.m.-9 p.m. April 12 and 9 a.m.-4 p.m., Beasley Coliseum, Washington State University, Pullman. 13th annual Demonstration Day, Artisans at the Dahmen Barn, 419 N. Park Way, Uniontown. 14th annual Lewis-Clark Recyclers’ Earth Day Celebration, 4-7 p.m., outdoors on Capital Street between Second and Third streets, downtown Lewiston. 7 p.m. April 26, 10 a.m.-5 p.m. April 27, 11 a.m.-4 p.m. April 28. Comic Book and Record Swap, noon-6 p.m., Riverport Brewery, 150 Ninth St., Clarkston. Spring Fair, Plant Sale and Open House, 10 a.m.-2 p.m., Pullman Community Garden at Koppel Farm, Derby Street and Professional Mall Boulevard, Pullman. Pullman ArtFest, 6 p.m. May 16, 4 p.m. May 17 and 11 a.m. May 18, downtown Pullman. Friday Night Fish Fry, 5:30 p.m., Lewiston Eagles Auxiliary, 1310 Main Steet, Lewiston. Cost: $8 for fish, french fries, coleslaw and dessert. Proceeds benefit the auxiliary scholarship fund. Lewiston Knights of Columbus Fish Fry, 5 p.m., All Saints Catholic Church, 3330 14th St., Lewiston. Cost: donation. $5 Lunch, noon-1:30 p.m., Upriver Youth Leadership Council Youth Advisory Board, YULC office, 413 Main St., Kamiah. Benefit to raise money to open a teen center in Kamiah. Benefit luncheon, 11 a.m., High Country Inn, 70 High Country Lane, Ahsahka. Proceeds will benefit the expansion of the Clearwater Memorial Public Library in Orofino. Sold out. Victorian Tea, 2-4 p.m., McConnell Mansion, 110 S. Adams St., Moscow. Cost: $25. Salsa dance night, 6 p.m., One World Cafe, 533 S. Main St., Moscow. Daddy/Daughter Dance, 6 p.m., All Saints Catholic School, 3326 14th St., Lewiston. Features live music by the B-Sides. Cost: $10. MLB’s Pitch, Hit & Run competition, open to children ages 7-14, 11 a.m., Airport Park, Lewiston Orchards. Register: dailyfly.com. “Mary Poppins Returns” (PG), 6 and 9 p.m. April 12-13, and 4 and 7 p.m. April 14, Compton Union Building auditorium, Washington State University, Pullman. Cost: $2/regular price, free/WSU students with ID. “One-Armed Swordsman,” 8 p.m., Kenworthy Performing Arts Centre, 508 S. Main St., Moscow. This 1967 film is a classic Hong Kong martial arts movie from Shaw Brothers. In Chinese with English subtitles. “48-Hour Guerrilla Film Challenge,” showcase of student films, 7 p.m., Compton Union Building auditorium, Washington State University, Pullman. “Redefining Prosperity,” 7 p.m., Kenworthy Performing Arts Centre, 508 S. Main St., Moscow. “Bumblebee” (PG-13), 6 and 9 p.m. April 19-20, and 4 and 7 p.m. April 21, Compton Union Building auditorium, Washington State University, Pullman. Cost: $2/regular price, free/WSU students with ID. “Cat Video Fest,” compilation reel of cat videos culled from the Internet, 8 p.m., Kenworthy Performing Arts Centre, 508 S. Main St., Moscow. Cost: $10. Whitman County Humane Society in Pullman will receive 10 percent of ticket sales. “The Lego Movie 2: The Second Part” (PG), 6 and 9 p.m. April 26-27, and 4 and 7 p.m. April 28, Compton Union Building auditorium, Washington State University, Pullman. Cost: $2/regular price, free/WSU students with ID. “Prosecuting Evil,” and “A Night at the Garden,” 4 p.m., Kenworthy Performing Arts Centre, 508 S. Main St., Moscow. “Love Thy Nature,” 7 p.m., Kenworthy Performing Arts Centre, 508 S. Main St., Moscow. “Idaho’s Mail-Order Messiah,” 6:30 p.m., Kenworthy Performing Arts Centre, 508 S. Main St., Moscow. Screening of Idaho Public Television’s “Idaho Experience” program will be followed by a panel discussion. Open jazz jam, 8-10 p.m., Bucer’s Coffeehouse Pub, 201 S. Main St., Moscow. Bill LaVoie and band, 7 p.m., One World Cafe, 533 S. Main St., Moscow. Stacy Jones Band, blues, 7 p.m., Kamiah Hotel, 501 Fourth St.
Scott Pemberton Band, 9:30 p.m., John’s Alley, 114 E. Sixth St., Moscow. Cost: $7. Moscow Mules, bluegrass, 8-10:30 p.m., Bucer’s Coffeehouse Pub, 201 S. Main St., Moscow. Stacy Jones Band, 9:30 p.m., John’s Alley 114 E. Sixth St., Moscow. Sovereign Citizen and the Non Prophets, with Limberlost and Brothers, 8 p.m., Third Wheel, 1634 Main St., Lewiston. Cost: $10/advance, $15/door. Tickets: www.purplepass.com. Brian Ward, Erik Bowen and Joe Covill Trio, jazz, 6 p.m., Lindsay Creek Vineyard, 3107 Powers Ave., Lewiston. Dan Maher of Pullman, folk, 8-10:30 p.m., Bucer’s Coffeehouse Pub, 201 S. Main St., Moscow. Nelly, 8 p.m. April 13 and 7 p.m. April 14, Clearwater River Casino Events Center, 17500 Nez Perce Road, Lewiston. (April 13 show is sold out.) Cost: $25-$50. Tickets: TicketsWest.com. Lewis-Clark Community Concert Band, 3 p.m., Lewiston High School auditorium, 1114 Ninth Ave.
Vanna Oh! (Lindsay Johnston), folk/jazz, 7 p.m., One World Cafe, 533 S. Main St., Moscow. “Historical Idaho Women Stories & Folksongs” by Tracy Morrison. All presentations are at 6 p.m. Schedule includes: April 15, Potlatch Public Library; April 16, Bovill Community Library, April 17, Genesee Community Library; April 18, Deary Community Library; April 30, Moscow Public Library; May 1, Troy Community Library; May 2, Juliaetta Community Library. University of Idaho Lab Choir performance, 6:30 p.m., One World Cafe, 533 S. Main St., Moscow. Aaron Golay, rock/soul, 7 p.m., One World Cafe, 533 S. Main St., Moscow. Cost: $3-$5. The Khind, the Maple Bars, DAB, Jodie and the Fosters, 7 p.m., Third Wheel, 1634 Main St., Lewiston. Cost: $10/advance, $12/door. Tickets: www.purplepass.com. Event is a benefit for Helping Hands. University of Idaho Orchestra and Percussion Ensemble, 7:30 p.m., Administration Building auditorium, 851 Campus Drive, Moscow. Cost: $5/regular price, $3/students and seniors. The Brothers Footman, 7 p.m., One World Cafe, 533 S. Main St., Moscow. Rendezvous in the Park Showcase, 7 p.m., Kenworthy Performing Arts Centre, 508 S. Main St., Moscow. Features six bands competing for three spots at July’s Rendezvous in the Park. Cost: $10. Elwood, folk/soul, 7 p.m., One World Cafe, 533 S. Main St., Moscow. Bombshell Molly with Kings and Kevin Black, doors open at 8 p.m., Third Wheel, 1634 Main St., Lewiston. Cost: $10/advance, $15/door. Tickets: www.purplepass.com. Young Artist Concert, Washington Idaho Symphony featuring Young Artist Competition winners and Greater Palouse Youth Orchestra, 7:30 p.m. April 27, Pullman High School auditorium; and 3 p.m. April 28, Lewiston High School auditorium. Cost: $25/regular price, $15/students, $10/ages 12-18, free/ages 12 and younger with paying adult. Wayne Willingham, 7 p.m., One World Cafe, 533 S. Main St., Moscow. Hemlock, with DAB and Brothers, doors open at 6 p.m., Third Wheel, 1634 Main St., Lewiston. Cost: $13/advance, $15/door. Tickets: www.eventbrite.com. Claude Bourbon, medieval and Spanish blues, 7 p.m., Artisans at the Dahmen Barn, 419 N. Park Way, Uniontown. Cost: $15. Food, beer and wine available for purchase. Colin Hay, 7:30 p.m., Pend Oreille Pavilion, Northern Quest Casino, 100 N. Hayford Road, Airway Heights, Wash. Cost: $39/$49/$69. Tickets: (877) 871-6772 (9 a.m.-1 p.m. daily) or online at www.northernquest.com. Daughtry, acoustic show, Clearwater River Casino Events Center, 17500 Nez Perce Road, Lewiston. Tickets: TicketsWest.com or at the venue. Inland Harmony Chorus, a cappella barbershop, 2 p.m., Silverthorne Theater, Lewis-Clark State College, Lewiston. Concert marks 50 years since the chorus was chartered as a chapter of Sweet Adelines International. Cost: $10. Student Entertainment Board Drag Show, 7 p.m., Senior Ballroom, Compton Union Building, Washington State University, Pullman. Cost: $20/regular price, $10/students. All proceeds benefit the Seattle Pride Foundation. “Grizzly Bears: Beyond the Great Divide,” presentation by David Mattson and Louisa Willcox, 1:30 p.m., Room 10, College of Natural Resources, University of Idaho, Moscow. “The Great Tax Debate: Who Should Pay and How Much,” 7 p.m., Compton Union Building Junior Ballroom, Washington State University, Pullman. “Archaeological Investigations at a Black Army Laundresses’ Quarters,” presentation by Katrina Eichner, 6 p.m., 1912 Center, 412 E. Third St., Moscow. Eichner is assistant professor of anthropology at the University of Idaho in Moscow. “The Most Likely Path Forward on Climate Change: Bipartisan Congressional Legislation,” talk by Steve Ghan, 3:30 p.m., Room 111, Renfrew Hall, University of Idaho, Moscow. Ghan is a climate scientist. “Unique Voices in the Forty-Nine Year Struggle for Environmental Protection, Activism and Health,” UI Environmental Law Society panel discussion, 5:30 p.m., University of Idaho Menard Law Building, 711 S. Rayburn St., Moscow. “The Size of the Risk: Understanding the Cost of Multiple Use,” lecture by Leisl Carr Childers, 5:30 p.m., Room 046, Teaching and Learning Center, University of Idaho, Moscow. Childers is a historian and author. “Sky Wonders from Down Under,” planetarium show, 7 p.m. April 26 and 5 p.m. April 28, Room 231, Sloan Hall, Washington State University, Pullman. Program explores the southern sky. Cost: $5/regular price (cash or check only), free/ages 6 and younger. 14th annual Palouse Area Garage Sale, 8 a.m.-1 p.m., Beasley Coliseum, Washington State University, Pullman. Royal Canin Canine Canter 5K Fun Run, 7 a.m., Bustad Hall, Washington State University, Pullman. Event is a costume fun run for dogs and humans. Snacks will be provided for all participants and prizes will be awarded. Proceeds will benefit the Whitman County Humane Society in Pullman and the WSU College of Veterinary Medicine’s Canine Club. Cost: $15/before April 5, $20/after. 42nd annual Seaport River Run, 10 a.m. (lineup starts at 9:40), Swallows Park, Clarkston. Registration: online at www.raceentry.com, or in person at Lewiston Parks and Recreation, 1424 Main St.
“Die Mommie Die,” a comic melodrama staged by the Moscow Community Theatre, 7:30 p.m. April 12-13, and 2 p.m. April 14, Kenworthy Performing Arts Centre, 508 S. Main St., Moscow. Cost: $15/regular price, $10/students and seniors. Tickets: Safari Pearl, 660 W. Pullman Road, Moscow. “The P—- Grabber Plays,” 7:30 p.m., Best Western Plus University Inn, 1516 Pullman Road, Moscow. Eight short works based on the stories of women who have accused Donald Trump of harassment or assault. Produced by UI Theatre Arts Senior Capstone. “Cinderella,” staged by Main Street Dance Studio, 1 and 7 p.m., Lewiston High School auditorium, 1114 Ninth Ave. Cost: $10/regular price, $5/children, free/5 and younger. “On the Way to the Sawmill,” 7:30 p.m., Hartung Theater, University of Idaho, Moscow. Not appropriate for children. “Sleeping Beauty,” staged by the Brigham Young University Ballet Company, 7 p.m., Department of Social and Health Services, 525 Fifth St., Clarkston. Cost: $10. Tickets: tix.byu.edu. Event is a fundraiser for Family Promise of Lewis-Clark Valley. “Riding With Lewis and Clark,” talk by A.G. Wesselius, 1 p.m., Nez Perce National Historical Park visitor center, Spalding. Wesselius is a retired veterinarian. “Bricks: From Clay Pits to the Brick Plant in Troy, Idaho,” talk by historian Earl H. Bennett of Genesee, 6:30 p.m., Troy Historical Society, 421 S. Main St.
“If We Can Put a Man on the Moon We Can Reopen the Liberty Theater,” talk by Margrit von Braun of Moscow, 6:30 p.m., second floor, Lewiston City Library, 411 D St. Von Braun is the daughter of early NASA rocket pioneer, Wernher von Braun. Donations accepted to benefit the Liberty Theater Preservation Alliance. “Beginning Beekeeping,” talk by John Freeman, 11 a.m., Lewiston City Library, 411 D St.
Dugout Canoe Presentation, by Thomas Eier and Jim Jameson, 6:30 p.m., Lewiston City Library, 411 D St.